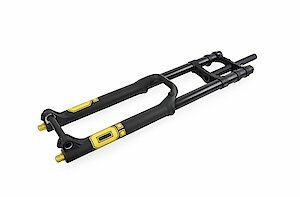 With their launch in 2015 the Öhlins RXF MTB front forks have revolutionized mountain biking. 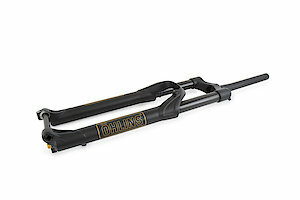 The fork features a twin tube design, enabling parallel and separated oil flow to ensure optimal pressure at all times. The TTX technology provides pressure control at all times. Controlling the pressure levels ensures initial smoothness and staying high in travel with maintained bump absorption, traction and stability. Contrary to most of the forks currently available on the market, the RXF features a three chamber air sring (2 positive, 1 negative). 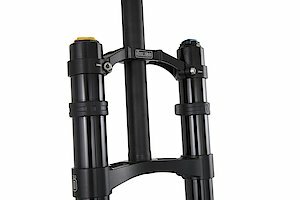 The shape of the spring force can be adjusted, such as increasing sensitivity without bottoming out with no need to disassemble the fork.